Most of all, I really believed in Scouting's moral code — I tried to always "be prepared" (the Scout motto), "do a good turn daily" (Scout slogan), stand up for the underdog, fight for fairness, and do the right thing. So when the Boy Scouts of America National Council kicked me out for being gay — over the strong objections of my troop and scoutmaster — I challenged it in court. I believed I was holding the organization to the values it had taught me. It was 1980, the dawn of a more conservative age in America. I was an 18-year-old adult leader, an assistant scoutmaster in Troop 37, Berkeley, California, where I grew up. The National Council found out I was gay from the local newspaper, which had published an article on gay teenagers that featured a big picture of me and my (male) prom date. 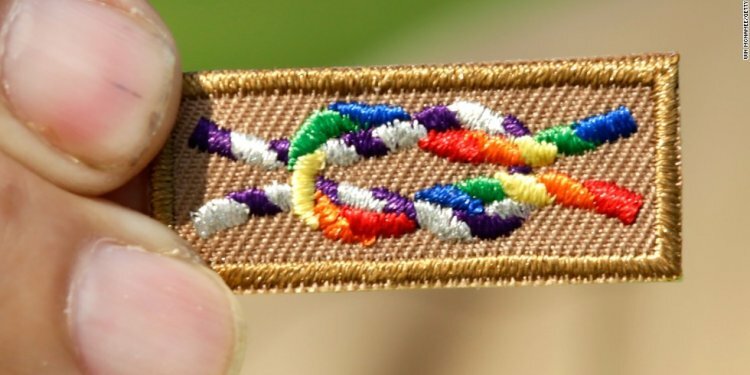 At a meeting that November, a pair of council executives told me, my parents and my very supportive scoutmaster that, because I was gay, I was not a "good moral example" for other scouts. I was quietly outraged. They might be kicking me out, but it didn't change the Scouting adage, "Once an Eagle Scout, always an Eagle Scout." There was also a passage in my dog-eared Boy Scout Handbook that said, If a Scout thinks "rules and laws are unfair, he seeks to have them changed in an orderly manner." So, following the Boy Scouts' own advice, I told my story to the American Civil Liberties Union, which agreed to take the case. That lawsuit, filed against the local Scouting body, the Mount Diablo Council, in April 1981 was the first against the Boy Scouts of America alleging anti-gay discrimination. It lasted 17 years, including a detour to the U.S. Supreme Court on a pretrial motion by the Boy Scouts that challenged the constitutionality of California's civil rights law. Finally, in 1998, California's Supreme Court ruled in the Boy Scouts' favor. Over nearly two decades, each time we were in court the case received mountains of media attention. It appeared in pretty much every paper in the country. I was on most of the major talk shows, facing hostile audience members and disgusted hosts (including on CNN's "Crossfire, " where even the "liberal" pundit said he "felt very sorry" for me because I'm gay). I was interviewed hundreds of times. It was a uniquely helpful experience for a young journalist. I believe it made me a much better interviewer, more sympathetic — I hope — to the real human beings behind the stories, and more interested in the nuances of their lives. One of the questions that hosts and reporters asked most frequently was, if the Boy Scouts changed its policy excluding gays, would I go back to my troop. But I'm a middle-aged, partnered, childless gay journalist living in Manhattan. My life is radically different from what it was like when the Boy Scouts kicked me out. Troop 37 doesn't even exist anymore. It would be very hard to wend my way back into Scouting, even if I were welcomed with open arms. I may try anyway. But if I do, nothing can change the fact that the Boy Scouts' exclusionary policy deprived me — along with perhaps hundreds of other gay men who would have stayed in Scouting and the thousands of boys we might have guided as adult leaders — of 35 years of opportunity. Opportunity to teach and be taught. Opportunity to lead and learn leadership. I have had a few chances in my career to mentor young journalists, and found it extremely rewarding. Those I mentored have told me they got a lot from the experience. I have wondered many times how much those rewards would have been multiplied if I'd had all those years to lead within Scouting — and how many young lives might have been changed for the better in the bargain. I'll never know, because I can't have those 35 years back, and neither can the Boy Scouts I never met or led, which makes me very sad. On July 27, Boy Scouts of America's Executive Board can vote to make sure that never happens again, and help fix the Scouts' chronic shortage of good leaders at the same time. By simply confirming the recommendation of the Boy Scouts' president and executive committee, the board can ensure that qualified adults are never again kept from an opportunity to give of themselves. And much more importantly, the board can guarantee that prejudice never again deprives boys of "good moral examples" who can Be Prepared, Do a Good Turn Daily, and teach them to fight for the right thing.